Speaking at an Intel manufacturing event at the end of March, Venkata Renduchintala, president of PC, Internet of Things, and chip design for Intel, advised the shipment timeline is hard to nail down, reports PC World. "In terms of first shipments, whether it's before the end of the year, or just after the beginning of [next] year, it's too close to call," said the president. Despite the uncertainty, Renduchintala believes Intel will still provide Cannon Lake chips to vendors within an appropriate timeline, with no major deviations to device producer timetables expected to occur. Cannon Lake will be the first generation of Intel chips produced using a 10-nanometer process, a die shrink that aims to provide performance improvements compared to previous generations, as well as a reduction in power consumption. This makes the processor more attractive for producers of battery-powered, where power consumption is a major concern. For Apple, Cannon Lake processors include support for LPDDR4 memory, something which could allow for the creation of a MacBook Pro with up to 32 gigabytes of memory. The MacBook Pro is unlikely to see a change to 32GB of RAM in the short term, as Apple is not expected to equip a MacBook Pro with a new RAM controller allowing for 32GB of more power-hungry DDR4 support. Compounding the problem, the expected 14nm process Kaby Lake refresh said to be called "Coffee Lake" doesn't support LPDDR4 —which would allow for 32GB of RAM without a new RAM controller. "Coffee Lake" is an optimization expected for release in the second half of 2017 that is said to offer a 15-percent processing improvement on Kaby Lake. 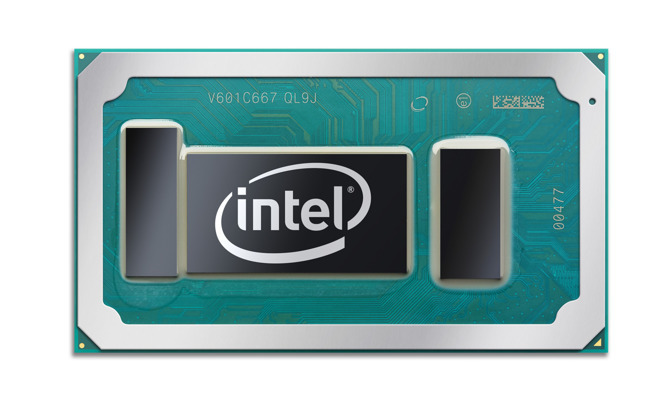 The fourth chip generation using the 14nm process, "Coffee Lake" will become the third "tock" in a row of Intel's "tick-tock" development strategy, a concept Intel retired in March 2016. The current 14nm Kaby Lake is thought to be the next processor to be used in a rumored 2017 refresh of the MacBook Pro, with a number of processors from the line reportedly making an appearance in beta code of macOS Sierra 10.12.4. Compared to the current Skylake generation, Kaby Lake as only a slight processing power increase, but with bigger improvements to the onboard GPU and power efficiency.